Performance Dates & Location: July 17-18, 2015 @ 7:30 p.m.
Sunday Matinee: July 19, 2015 @ 2 p.m.
Tickets will on sale beginning June 22nd, 2015 at the RAYTOWN HY-VEE STORE, 9400 E 350 Hwy (intersection of 350 Hwy & Gregory Blvd. ), Raytown, MO, 816-358-9940 or online through our website. Ticket prices are: $8 in advance and $10 at the door. Seated: Caleb McCarroll. 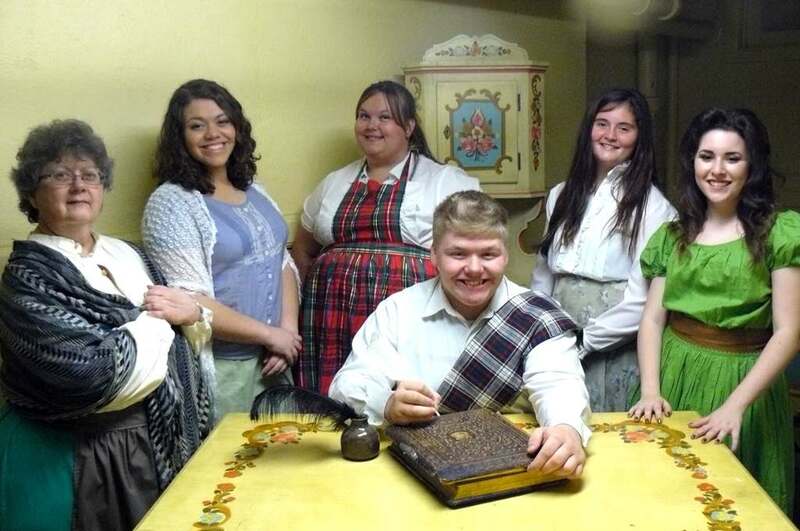 Standing: Sharon Sawaya, Julianna McCarroll, Kyrstin Stoneking, Madie Hill, and Bailey Shaw in a scene from the musical of RAC’s BRIGADOON. Photograph by Sharon Propst, RAC Publicity. Khalid Johnson as Tommy Albright; Hannah Fabean as Fiona MacLaren; Caleb McCarroll as Charlie Dalrymple; Israel Hanke as Jeff Douglas; Bailey Shaw as Jean MacLaren; Jim DeFries as Andrew MacLaren; Michael Rowe as Angus McGuffie; Pete Berney as Archie Beaton; Zach Kujath as Harry Beaton; Julianna McCarroll as Jane Ashton (NY); Madie Hill as Kate; Hannah Steele as Meg Brockie; David Fast as Mr. Lundie; Gabe Sawyer as Stuart Dalrymple;Julianna McCarroll as Maggie Anderson, Paul Lee as Sandy Dean; Kyrstin Stoneking as MacGregor and Sharon Propst as Frankie, the bartender (NY). Ensemble: Shirley Johnson and Sharon Sawaya. “Once in the Highlands, the Highlands of Scotland, two weary hunters lost their way.” It is this desolate situation which Tommy Albright and Jeff Douglas, two young New Yorkers, are contemplating when the curtain rises on a misty glen in Scotland. As the two exhausted men reflect on what they have forsaken in the States for their present predicament, a lift in the Highland veil reveals to them the awakening village of Brigadoon; a village which comes into being for only one day in each century. The strained and strange greetings of the villagers bedecked in 18th century costumes, who have gathered in the market square to sell their wares and to discuss the final wedding preparations of Jeannie MacLaren and the boyish Charlie Dalrymple, are softened for Tommy by his encounter with Jeannie’s lovely sister, Fiona, and enlivened for Jeff by his reluctant entanglement with the maid, Meg Brockie. The blissful occasion is momentarily tinged with gloom when the fate of Brigadoonis threatened by Harry Beaton, Jeannie’s rejected suitor. And Tommy, now burdenedwith the knowledge of Brigadoon’s secret and enraptured by the gentle charms of the beautiful Fiona, is confronted with the choice of remaining forever at the side of the Scottish lass or returning to the unsatisfying world familiar to him. At the close of the day he is still unable to commit himself without doubt or regret to Fiona and to Brigadoon, and leaves with Jeff for America. Restless and unhappy in New York, Tommy finally yields to the haunting memory of Fiona and, guided by the faith and strength of his love, finds his way back to Brigadoon. The misty mood of this Highland setting is strikingly complemented by bright 18th century costuming, contrasting the idyllic Brigadoon villagers with the malcontent young hunters. The fanciful flavor is augmented by superb choreography by Agnes de Mille which gracefully mingles the regional with the modern. An outstanding band orchestration by Philip J. Lang, as well as the standard orchestral accompaniment, offer a memorable resonance to the production. Like Tommy, the audience delights in the whimsical loveliness of the Highlands, and it is with similar reluctance that they exit Brigadoon. Show tunes include Almost Like Being in Love, The Heather on the Hill, There but for You Go I, Come to Me, Bend to Me, My Mother’s Wedding Day, I’ll Go Home with Bonnie Jean and Waitin’ for My Dearie. 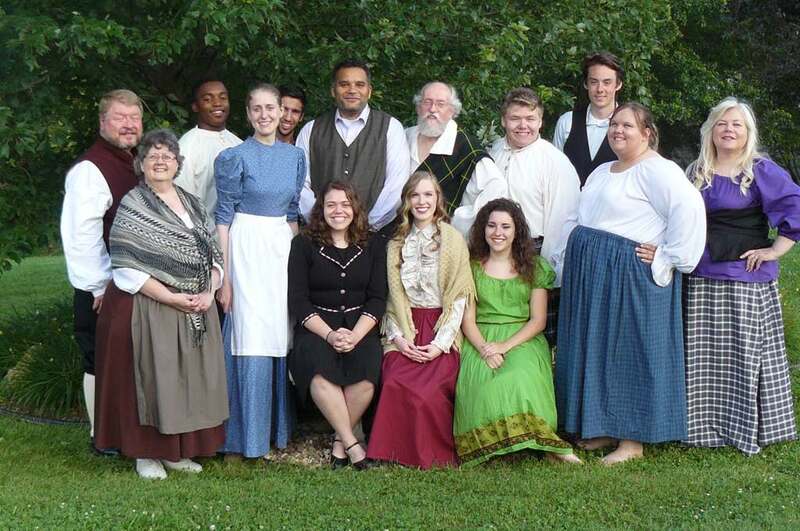 Julianna McCarroll, Hannah Fabean, and Bailey Shaw (seated); Front Row: Sharon Sawaya, Hannah Steele, Khalid Johnson, Jim DeFries, Caleb McCarroll, Kyrstin Stoneking and Sharon Propst. Back Row: David Fast, Gabe Sawyer, and Israel Hanke. The musical cast of RAC’s BRIGADOON. Photograph by James. 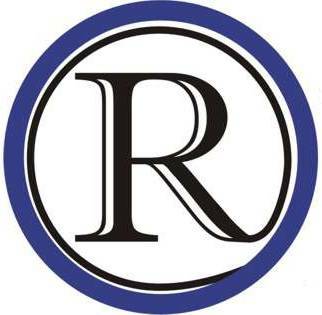 D. Walters, RAC Publicity.